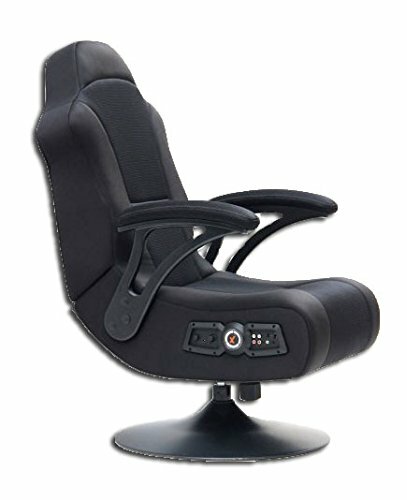 Enjoy a comfortable gaming experience with the X-PRO 300 Pedestal Video Rocker Gaming Chair with Bluetooth technology. It provides a versatile seating solution that is excellent for playing video games, listening to music, watching TV, reading and relaxing. It comes equipped with two speakers that allows for total surround sound immersion so you feel closer to your favorite media. The X-PRO 300 video rocker also boasts a powerful subwoofer that utilizes Ace Bayou's innovative AFM Technology for deeper and more resonant bass. Built-in Bluetooth technology easily picks up audio signal from any enabled device.